Please note: This item is designed for a right hand drive vehicle. 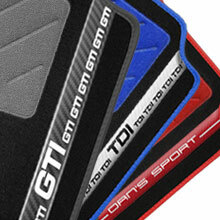 The 'Classic' tailored car mats are now available with more options than ever before! Customise every single element including your carpet, trim, cotton, heel pad and custom text logo. Correct/Approved Fixing Systems to ensure complete safety. Please see template image for fixing locations. If unsure contact us prior to ordering. Please specify your custom text here ensuring you do not use any copyrighted terms. Millions of Colours to Choose From, Fully Tailored from £29.99! Perfect any occasion including Birthdays! Treat that special someone today! Keep Your Car Mats Clean For Only £10! Lift dirt and stubborn stains easily without leaving a sticky residue. Perfect for Carpets, Leathers and Vinyls. Can't find what you're looking for or have your own template? Click here! Left or Right Hand Drive?